The family duel is going into the second round. 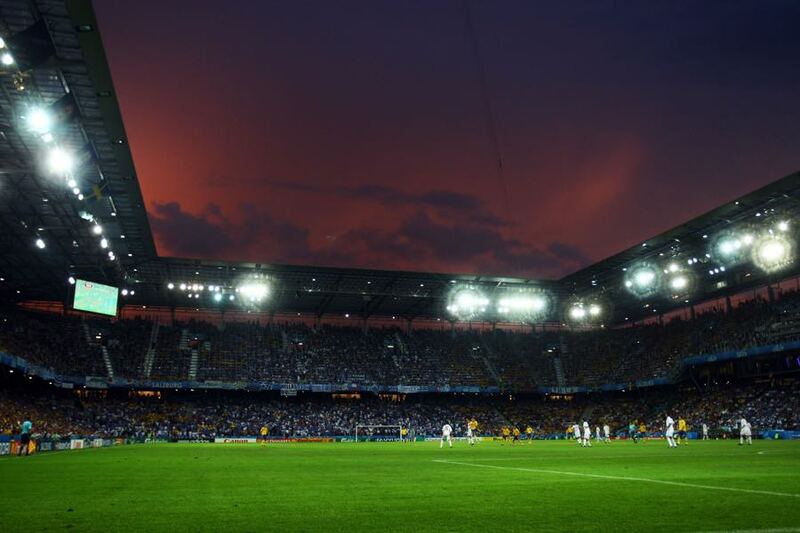 FC Salzburg, who are called Red Bull Salzburg for domestic matches, are facing off against sister club RB Leipzig. It is a matchup with some controversy. Although on paper the two teams are independent of one another there is no doubt that Red Bull is the decision making party at both clubs. Until 2017 Red Bull was the owner of Red Bull Salzburg but in order to appease the decision makers at UEFA the company officially only acts as the club’s sponsor. Furthermore, the club officials in Salzburg are adamant that Red Bull’s headquarters at Fuschl am See are not interfering when it comes to player transfers between Salzburg and Leipzig. Wer zahlt schafft an (those who pay make the decisions), is an old German saying and even with Red Bull just as a sponsor in Salzburg there is no doubt where the financial foundation of Salzburg’s success comes from. That success has been immense. Salzburg dominate the Austrian Bundesliga and have won the last five championships. Despite failure to qualify for the Champions League Salzburg have made waves in Europe as well. Last season they reached the semifinals of the Europa League where they were narrowly eliminated by Olympique Marseille. During that tournament, Salzburg’s head coach had his side play typical Red Bull football. Fast with athletic players capable of playing various positions. The key player in that squad was Amadou Haidara. The 20-year-old from Mali will, however, miss the game against the team that many expect will be his future club following January 1. The likely Haidara transfer is at the centre of some of the controversy. RB Leipzig, after all, are on the top of a pyramid that includes several Red Bull clubs. It is a system that allows interims head coach and RB Leipzig sporting director Ralf Rangnick to recruit players from all over the world and slowly move them up within RB structure. Overall, 14 players have moved between Leipzig and Salzburg since RasenBallsport Leipzig was founded in 2009. Hence, while on paper the two clubs are separated the suspicion is still there that the clubs are in reality still connected. That, in turn, has worried the other two clubs in the group – in particular, Scottish based club Celtic. Celtic have lost the head-to-head with Leipzig and would be out of the Europa League should Leipzig win their two remaining games. The fear in Scotland is that Red Bull could command Salzburg to lose in order to guarantee that both teams make it through. Judging from the first leg, however, such a scenario seems unlikely. While both clubs are connected off the field on the field there seems to be a healthy rivalry between the two RB franchises that resulted in Salzburg winning the first leg between the two teams 3-2 in Leipzig. It was a wake-up call for RB Leipzig and even though Leipzig lost their game against Wolfsburg on the weekend die Roten Bullen from Germany have been in stellar form in the Bundesliga where they sit in fourth spot just one point behind Eintracht Frankfurt and Gladbach but eight points behind league leaders Borussia Dortmund. In fact, with Bayern struggling some suspect that Rangnick could sacrifice the Europa League in order to mount a title challenge. With new players arriving in the winter that seems a possibility in truth, however, Rangnick is a highly competitive man, who wants to win as many games as possible. Hence, while it would be easy for him to forego the Europa League and focus on the Bundesliga that seems unlikely and for a German team, sitting in fourth spot in the Bundesliga, beating a team from Austria, that would be, conspiracy theories aside, anything but a major surprise. With Amadou Haidara out injured Diadie Samassékou will be Salzburg’s key player in midfield. The Mali national team player, however, lacks Haidara’s attacking ability and is more defensive. 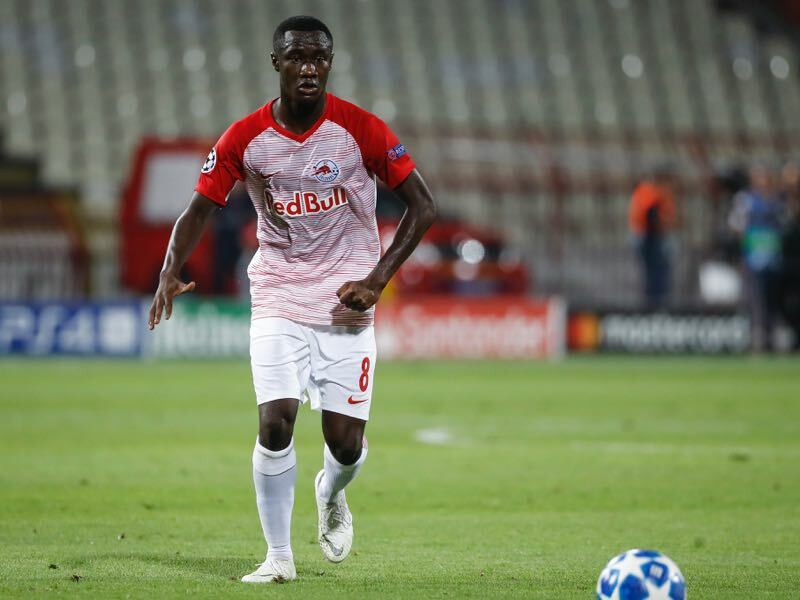 Hence, while Samassékou will be an important puzzle to keep the balance in Salzburg’s midfield it will be difficult for the 22-year-old to replace his compatriot in all aspects. Nonetheless, Samassékou will be key in disrupting Leipzig’s pressing play and balance between midfield and attack. 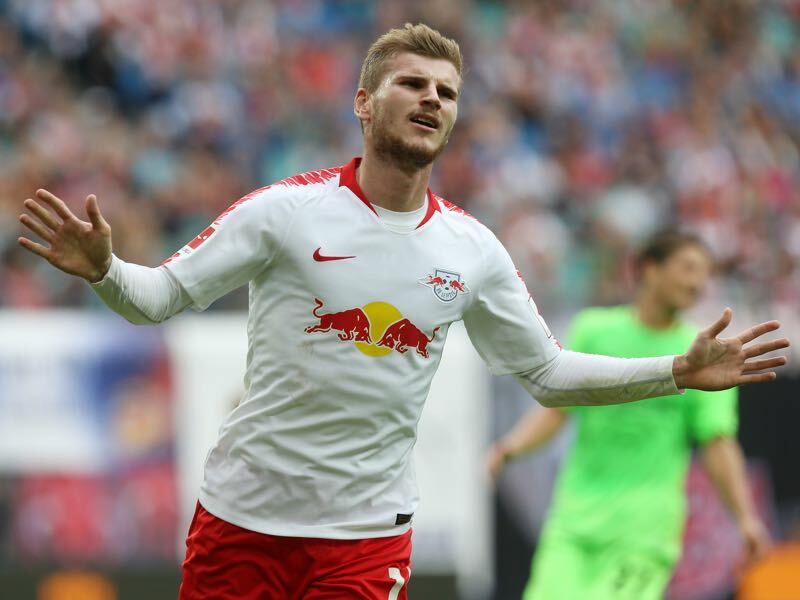 Timo Werner has been resurrected this season after a having a bit of a slower year last season. The forward has already scored six goals in 12 Bundesliga games this season. Werner, however, has not yet featured for Leipzig in the Europa League group stage where Rangnick has often opted to give the forward a break. 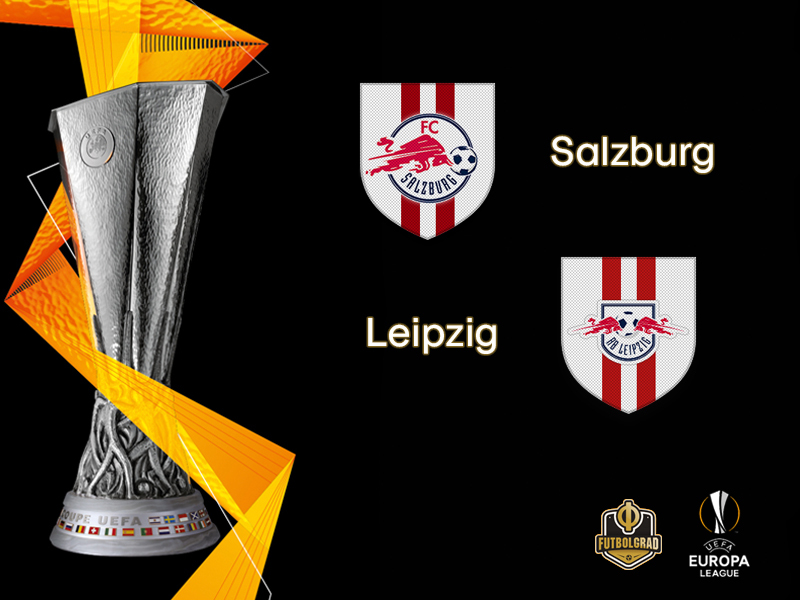 That might change as Leipzig are looking to qualify out of the group. Salzburg’s win gave them an evenly balanced record against teams from across the border (W4 D3 L4). At home it is W2 D2 L1 with no defeats in the last four matches, all of which have featured clean sheets for the Austrian side. The last visitors from Germany to score in Salzburg were Fortuna Düsseldorf in the 1980/81 European Cup Winners’ Cup first round (3-0). Leipzig’s 2-1 defeat at Celtic ended their four-match unbeaten run away from home in Europe this term, the 3-1 win at Rosenborg on matchday two following three successive draws in the UEFA Europa League qualifying phase. Their away record in two seasons of European competition is W3 D4 L4; in only one of those 11 matches have they kept a clean sheet (0-0 at Zorya).